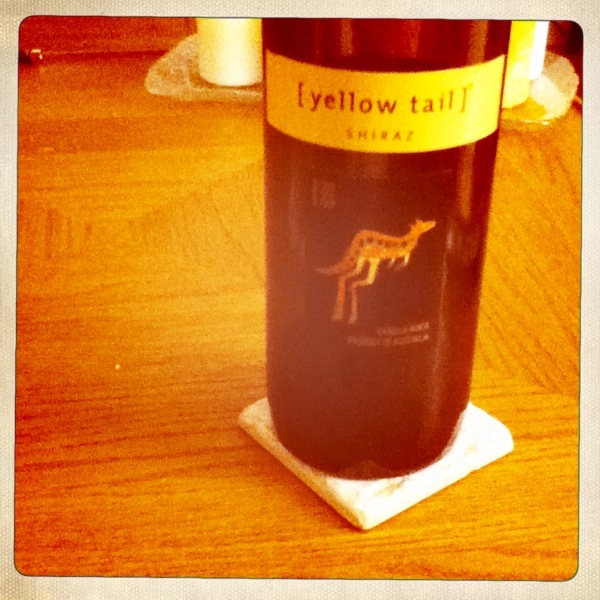 To start off, I would just like everyone to know my staple go-to wine after a hard days work – Yellow Tail – Shiraz. For me, it’s a relaxer that comforts me in my own home. Some say I love it because it’s my dad’s favorite, which may be true, but it truly is standard in my wine collection because of the way it makes me feel. Its spice and smooth vanilla flavor makes for a great compliment to a snuggle on the couch while watching good TV or sitting in front of blazing fire – both sound like delightful solutions to WIND DOWN and be free of the stresses during the work week! It is a very accessible bottle of wine that is CHEAP (thank goodness)! A magnum of wine, which I always purchase at the beginning of the week as a “just in case” bottle is $10 – $13 and lasts a while. Just put a fun wine stopper in there after you drink and you are good to go! Very Cool! Been waiting for a good wine blog with NYC flavor! same title of your post becoming the “concept and tagline” of the new Yellow Tail campaing?